A wholesome delicious and healthy sandwich with a mixed vegetable paneer bhurji filling and creamy nutty homemade hummus that your family is going to love. 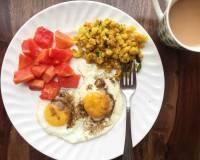 Makes for a perfect breakfast and can even be packed into yours or your kids lunch box. Grilled Hummus Paneer Bhurji Sandwich Recipe is a tasty grilled sandwich recipe which is slathered with fresh home made creamy hummus and filled with mixed vegetables paneer bhurji and cheese. 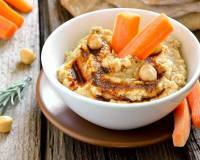 Hummus is a popular spread made out of boiled chickpeas, blended with olive oil, garlic, sesame seeds, lemon and salt. Not only is hummus versatile and can be flavoured according to your taste but it is also very healthy as it is packed with plant based protein and contains a wide variety of vitamins and minerals. 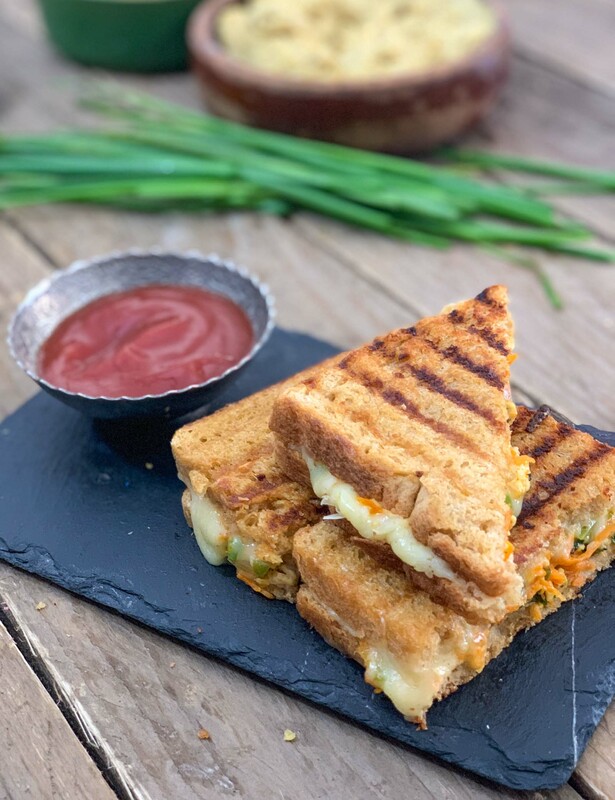 Grilled Hummus Paneer Bhurji Sandwich are perfect to be packed for picnics or you can even serve these at your next tea party and wow your guests. Serve the Grilled Hummus Paneer Bhurji Sandwich along with a glass of fresh Plum Ginger Juice Recipe for a wholesome breakfast. 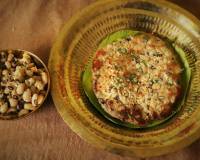 To begin making Grilled Hummus Paneer Bhurji Sandwich Recipe first we will make the hummus and keep aside. 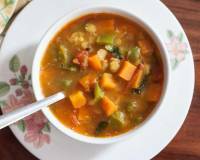 Cook the soaked chickpeas in the pressure cooker for about 30 minutes, until soft. Allow the pressure to release naturally. Drain out any excess water. Into a mixer grinder add cooked chickpeas, toasted sesame seeds or 1 tablespoon tahini, lemon juice, garlic,olive oil cumin powder and red chilli powder. Blend the chickpeas using little water at a time to get a nice thick hummus. Transfer the Hummus into a bowl and keep aside. In a preheated pan add olive oil. Once the oil is hot add the garlic and onions and saute until the onions soften. Once the onions soften, add the capsicum and carrot and saute till the capsicum sweats and leaves little moisture. Once done add in the cumin powder, chilli powder, salt to taste and paneer and mix to combine well. Turn off the heat and allow the paneer bhurji mixture to cool a bit. Butter the preheated grill pan and keep two slices on the pan. Spread hummus on bread slices. 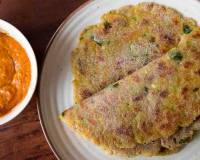 Spread the Paneer Bhurji mixture evenly on the hummus and finally grate cheese on top of the paneer bhurji mixture. 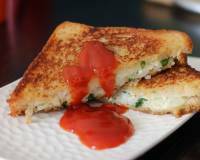 Cover the open Hummus Paneer Bhurji Sandwich using another buttered bread slice. Grill the Hummus Paneer Bhurji Sandwich on pan till your get a crisp and golden brown coating on the outside.